Imagine a mile-wide tornado spinning over 260 miles per hour, disguised as a rolling fog, before early warning systems were in place. In its path are over two dozen oblivious towns and small villages spread over three states. Some of those towns will be completely flattened. Railroad tracks will be pulled up, a multi-ton coal tipple will be rolled, sheets of iron will be carried 50 miles away and nine schools will be torn apart. In just under four hours nearly 700 people will be killed and over 2,000 injured. Several of the towns and villages will never be rebuilt. This was the Tri-State Tornado of 1925, the most devastating in U.S. history. Fortunately most tornadoes are not of the EF5 or even EF4 type (less than 1%) with 80% being EF0-1, but even a small one can do a lot of damage if it hits a populated area. Systems for predicting tornadoes (at least in the U.S.) date back to the 1880s. Tragically, fear of depressing economic activity if areas were perceived as tornado-prone caused the U.S. Signal Service and later the U.S. Weather Bureau to use the less specific "severe local storms" instead. This practice continued into the 1950s. Even with modern radar the warning time of an actual tornado on the ground averages only 15 minutes, giving people in its path little time to get to safety. Knowing how to spot a tornado can save lives. 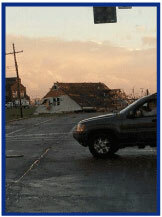 To make it easier to spread the word AIG has prepared this weathering the storm tip sheet for your clients. AIG's Private Client Group homeowner coverage is available to registered members in all states. 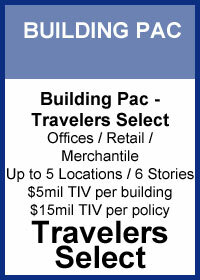 The Affluent Homeowner program can be found at www.bigimarkets.com. Are you already using DocuSign? Great! 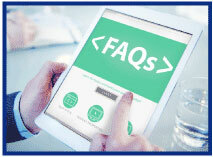 DocuSign has developed a list of FAQs for you to share with your clients. Read on and feel free to share these to help explain why your agency is using esignature. I've just received an electronic document to sign. Why don't you just send a print out? Sending out our contract documents electronically means that we can spend less time on making sure your paperwork is up to scratch, a more time on delivering our services to your business. No more printing, faxing, scanning, or posting, our customer transactions are now all digital. You will get a faster, easier contract process, which will be fully compliant and allow you complete visibility and control at all stages of the process. An eSignature, or electronic signature, is an electronic indication of intent to agree to or approve the contents of a document. There are multiple options for creating this electronic signature - you can use your mouse, upload a scanned image of your signature, or type in your name and select a signature style to drop in. DocuSign is an eSignature solution. It allows us to deliver your paperwork digitally, prompt you for an eSignature and then record all of the relevant transaction against your customer record. We have chosen DocuSign because it's a market leading solution and it has a great integration with Salesforce.com. Click here to read the full post from the DocuSign blog. 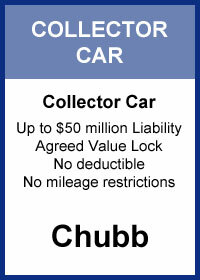 Learn more about your Big "I" discount on Docusign at docusign.com/IIABA. And check out the webinar section below for some upcoming opportunities to learn more! "Cohabitating" couples are commonplace today. Indeed, two-thirds of couples "cohabitate" for an average of 31 months before marriage.1 But these unmarried partners may be surprised to find their 'significant other' shortchanged under traditional homeowners insurance, which typically extends coverage only to 'relatives' residing at the insured home or condo. An endorsement to LexElite® Homeowners Insurance, Significant Other Coverage cost-effectively closes this coverage gap, extending critical protection to the romantic partner of the named insured. 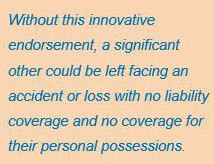 Worldwide third-party liability coverage for the significant other. Personal property protection for the significant other's personal possessions (while also increasing personal property limits 5 percent). A leader in homeowners insurance protection, Lexington is always discovering new ways to keep policyholders well protected - and to keep pace with the exposures of modern life and modern families. Significant Other Coverage is the newest in our series of enhancements to the LexElite Homeowners policy. Other available endorsements include: LexShare® HOME Rental Coverage, Mandatory Evacuation Response Coverage, Lex CyberSafety® Coverage, Pet Critical Injury Coverage, Upgrade to Green® Residential, and LexElite Eco-Homeowner® Insurance. All coverages come with industry-leading LexElite claims services. Download this article on a flyer. 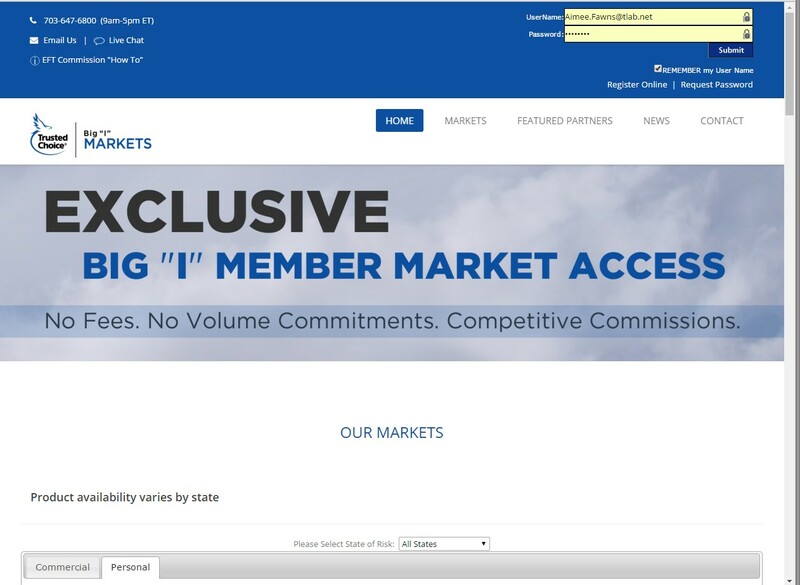 Visit www.bigimarkets.com for information on all the Non-standard HO markets available - Homeowners & Rental Dwelling, Condominium, Renters, and Vacant Dwelling. Lexington Insurance Company, an AIG company, is the leading U.S.-based surplus lines insurer. AIG is the marketing name for the worldwide property-casualty, life and retirement, and general insurance operations of American International Group, Inc. For additional information, please visit www.aig.com. Products and services are written or provided by subsidiaries or affiliates of American International Group, Inc. Not all products and services are available in every jurisdiction, and insurance coverage is governed by actual policy language. 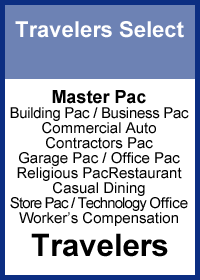 Certain products and services may be provided by independent third parties. Insurance products may be distributed through affiliated or unaffiliated entities. 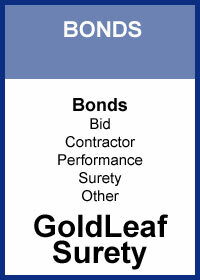 Surplus lines insurers do not generally participate in state guaranty funds and insureds are therefore not protected by such funds. 1. The Tri-State tornado is the third worst recorded. Where & when was the most devastating tornado in the world? 2. On this date (April 19th) in 1960, what was added to Major League baseball uniforms? 3. Significant Other Coverage is the latest enhancement to the LexElite HO policy. Name two of the others. Dorothy Gale was famously swept up in a fictional Kansas hurricane and used her slippers to get home. What color were the slippers in Baum's original story? Congratulations to our agent in Washington on a habitational condominium sale of $15,686 in premium!